Pack rats, or also known as “wood rats” or “trade rats”, are found throughout most of the United States. Pack rats are commonly called Wood Rats or Trade Rats because they collect or “pack-around” various objects and bits of material to deposit in, or use in the construction of their nests. Pack rats are especially fond of small, bright, shiny objects that they will readily confiscate; but bones, cow chips, and bits of wood are all common. When pack rats encounter an interesting object they drop or trade what they are carrying for the new item, consequently the name “trade rat”. There are 8 species of pack rats in the U.S. Pack rats are about the size of a common Norway rat but the tail is fairly well furred and looks like a shorthaired squirrel tail. They are also well furred and have large protruding ears. 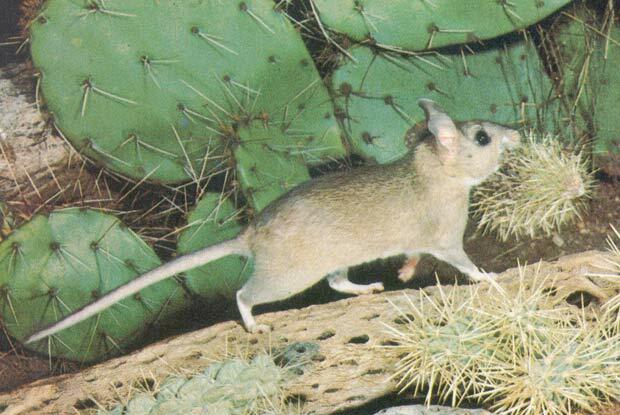 Pack rats nest are built of plant material like branches, twigs, sticks and other debris. The huge, beaver dam-shaped structures may be up to 4 feet across. They may be constructed in a tree or on the ground at the base of a tree, on rocky ledges but also in your attic, wood shed, or vehicles and machinery which are abandoned or parked for long periods. Pack rats can become quite a nuisance around homes on the edge of town, vacation homes, cabins, outbuildings, and other infrequently used structures or buildings. They will take up residence in parked farm equipment and vehicles, gnawing on wires and other mechanical components, in addition to stealing treasures for their nests or building large nests in the vehicle or equipment.